Why choose colour anodising on titanium? Titanium anodising cannot produce red or black. Colour anodising on titanium is most suited to parts with a bright surface finish. On matt surfaces colour intensity decreases. We also offer anodising to ISO 8080, which produces a blue/purple finish for specific, non-cosmetic purposes on titanium. Colour anodising on aluminium is available as well. Our titanium anodising is both RoHS and REACH compliant. 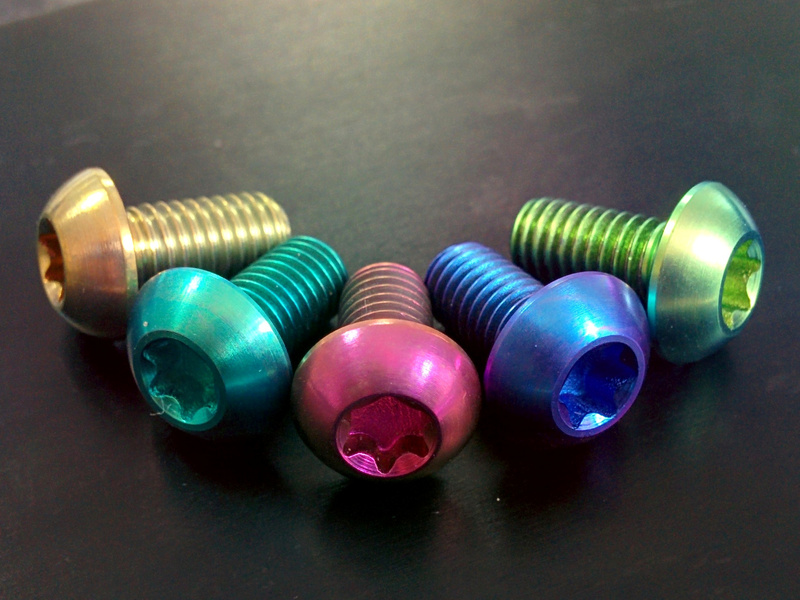 A selection of the colours available for titanium anodising.